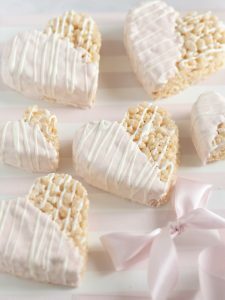 After surpassing what felt like ten thousand months of January (boy did it drag), suddenly Valentine’s Day is fast approaching, love is in the air and a sea of pink and red fills every store. 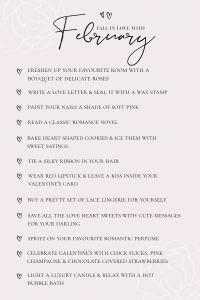 I’ve selected my favourite dreamy Valentine’s themed treats from candles, chocolates, roses, bubble bath and perfume, to give you inspiration for your Valentine, Galentine’s and of course, yourself! 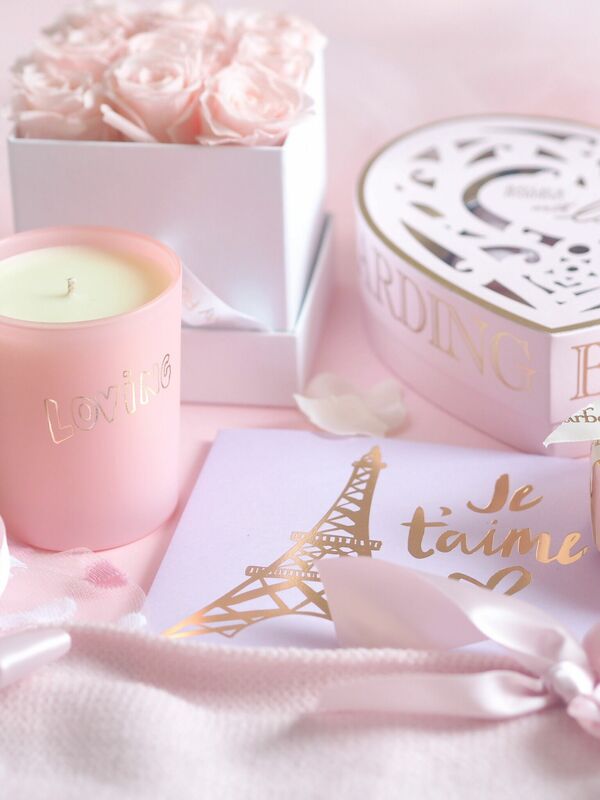 Whether you celebrate it or not, it’s still a reason to relax, run a bubble bath, light a few candles and open a box of your favourite chocolates! 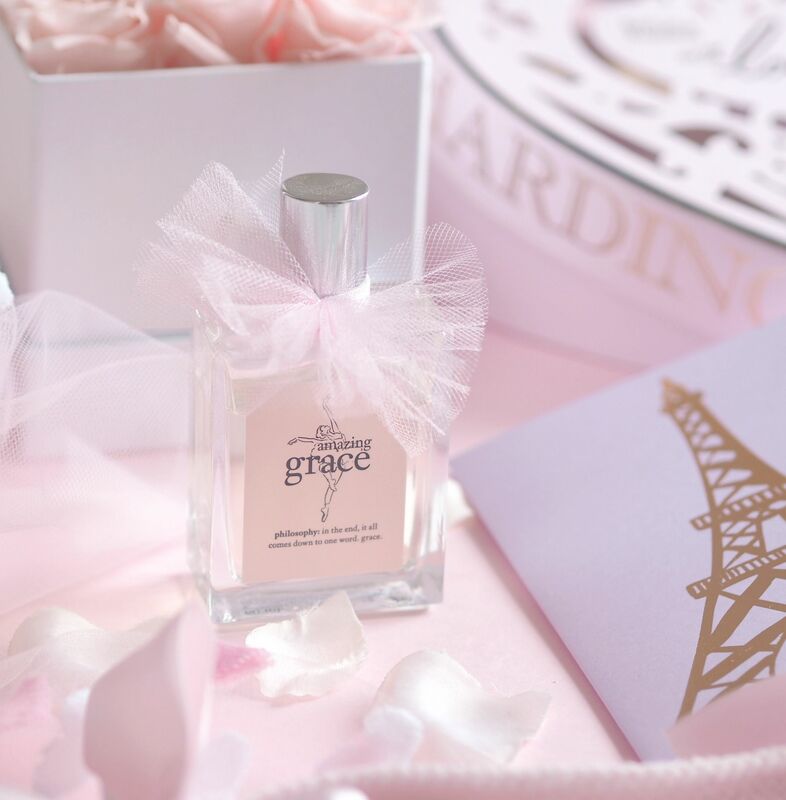 For an elegant scent, the Amazing Grace fragrance from Philosophy is a perfect choice. I have the pretty limited edition Nutcracker version which has a delicate pink tutu feature around the neck, and a pretty ballerina illustration on the front of the bottle which makes it utterly adorable. This version has been a little hard to come across since it was limited edition but I have found it available here. 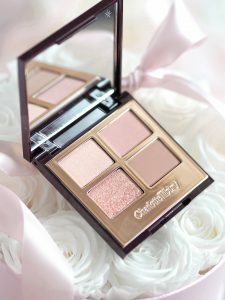 I’m also heart eyed over the new Ballet Rose addition to the Amazing Grace range, which sounds especially lovely! 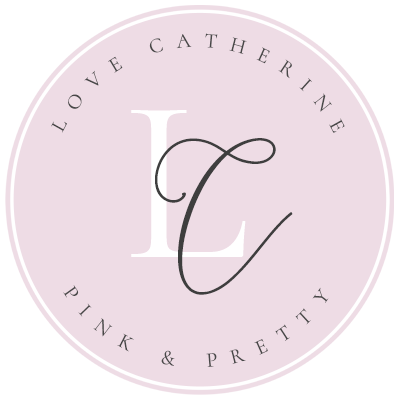 Fueling my ever growing candle addiction is the limited edition Bella Freud Loving Candle, and obviously the pretty pink jar with quirky golden writing etched into it lured me in, it had my name all over it! 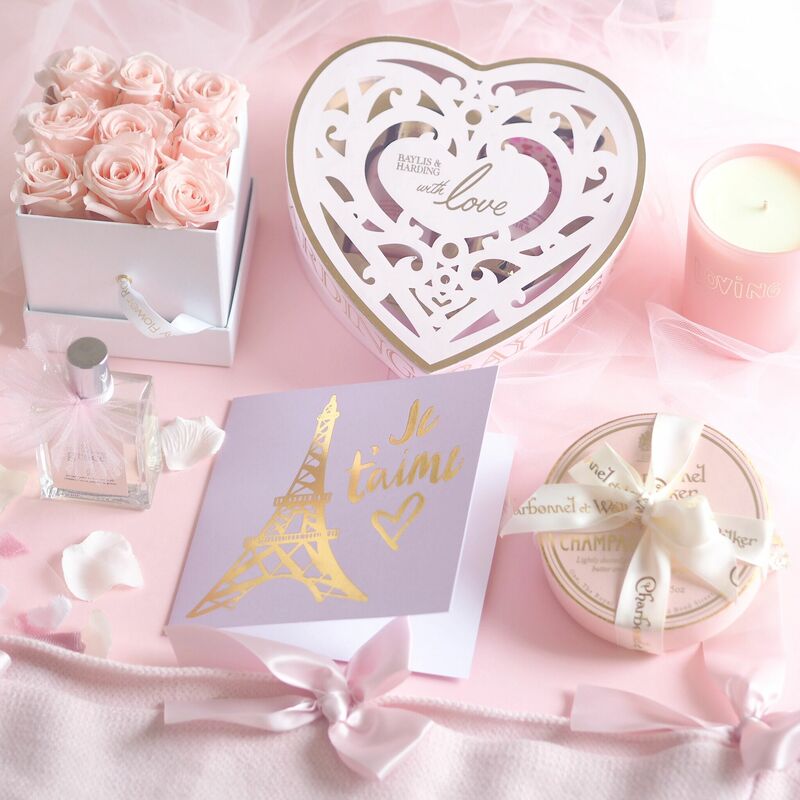 It has a lovely tuberose and sandalwood scent, which smells romantic, warm and cosy, quite similar to Diptyque Tubereuse if you’ve ever tried that one. When it comes to chocolate, I won’t sit here and tell you I’m fussy ‘cos let’s be honest, give me a bar of Dairy Milk and you’ll keep me happy any day of the week… But for something extra special, the Charbonnel et Walker truffles not only taste heavenly but are also wrapped to perfection in the prettiest packaging, tied with satin ribbons. 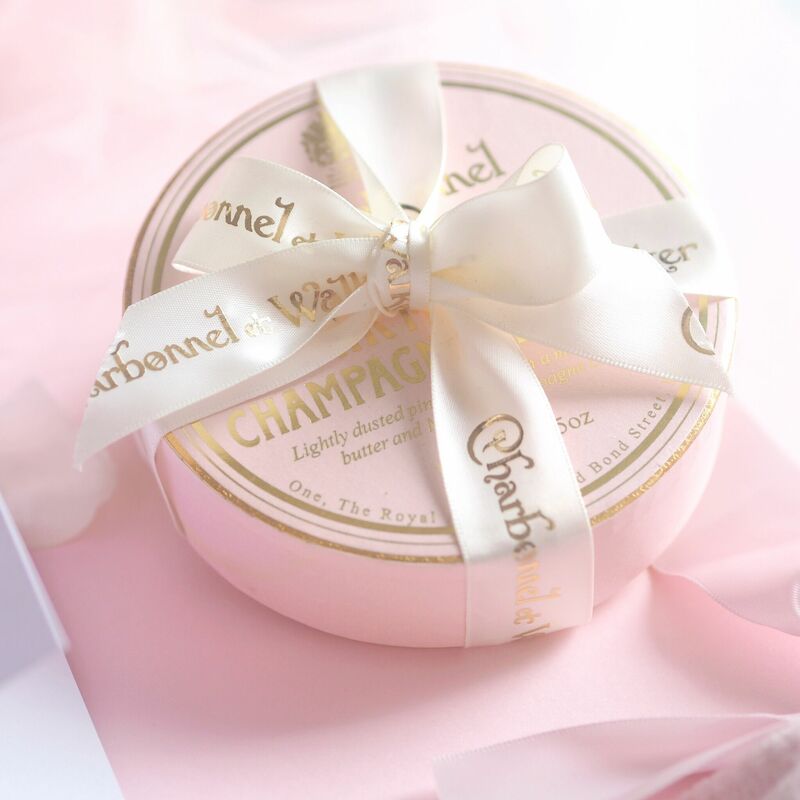 My favourites are the Pink Marc de Champagne truffles but I’ve always wanted to try the Sea Salt Caramel flavour too, which sound delicious. 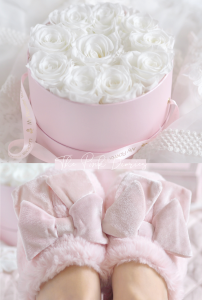 I can’t tell you how many photos of gorgeous rose boxes I’ve lusted after and repinned on Pinterest. They are the ultimate in luxury roses and, in my opinion, gifting a box of these will never fail. 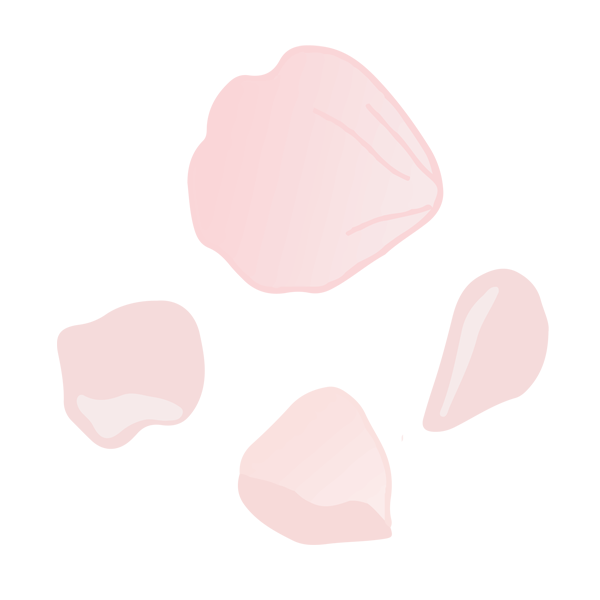 Although many everlasting roses are pretty pricey, they are said to last for up to a year! 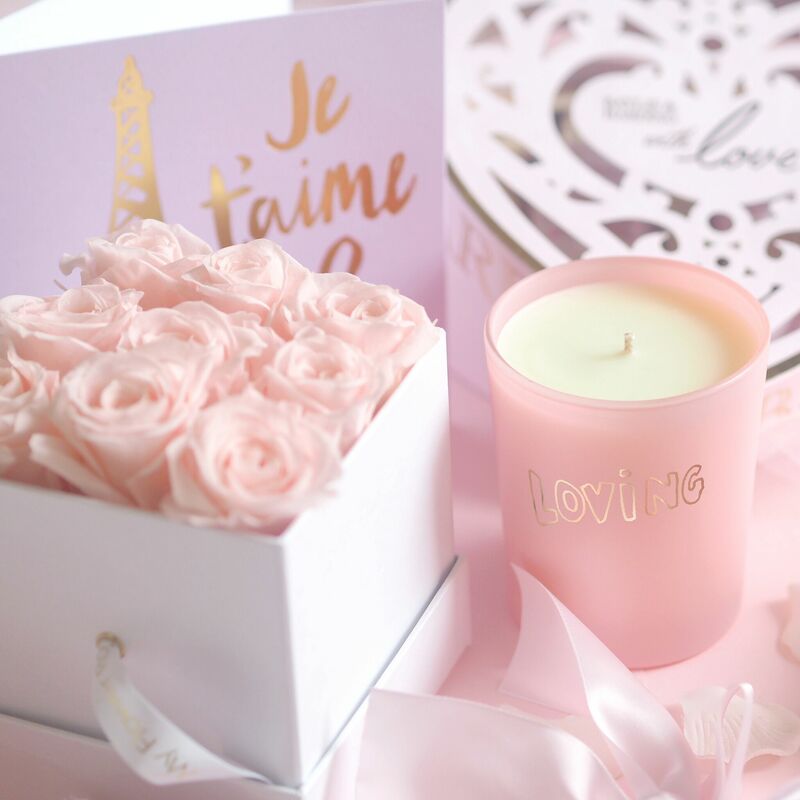 The Love Forever Mini Box* from My Flower Room is a really cute option if you have more of a budget, I keep mine on my dressing table and it looks really pretty without taking up too much room! 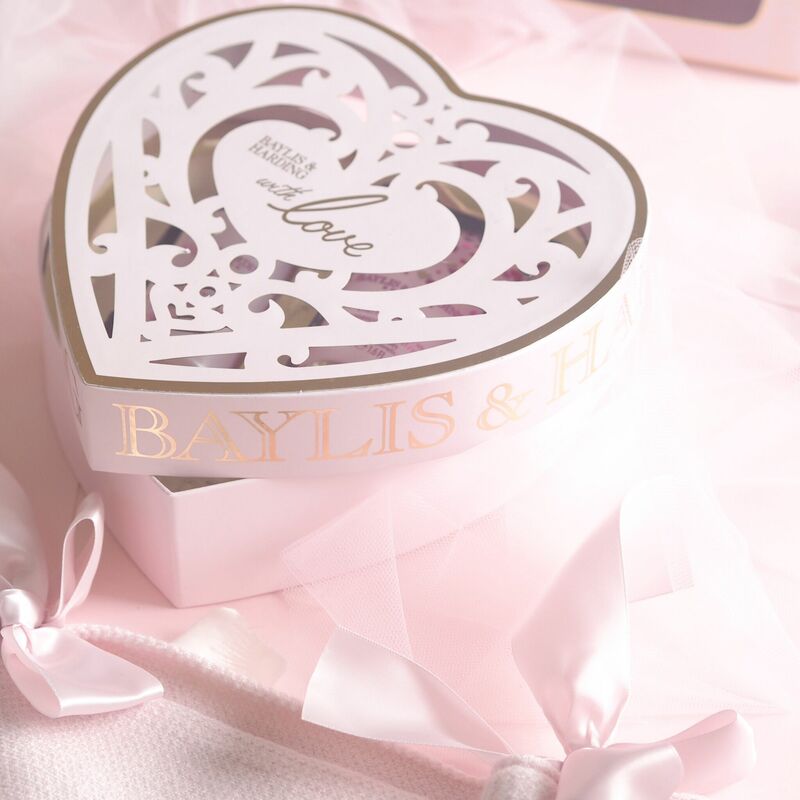 I came across the loveliest gifts sets from Baylis & Harding recently and I actually had no idea they had so many gorgeous bath and body collections. 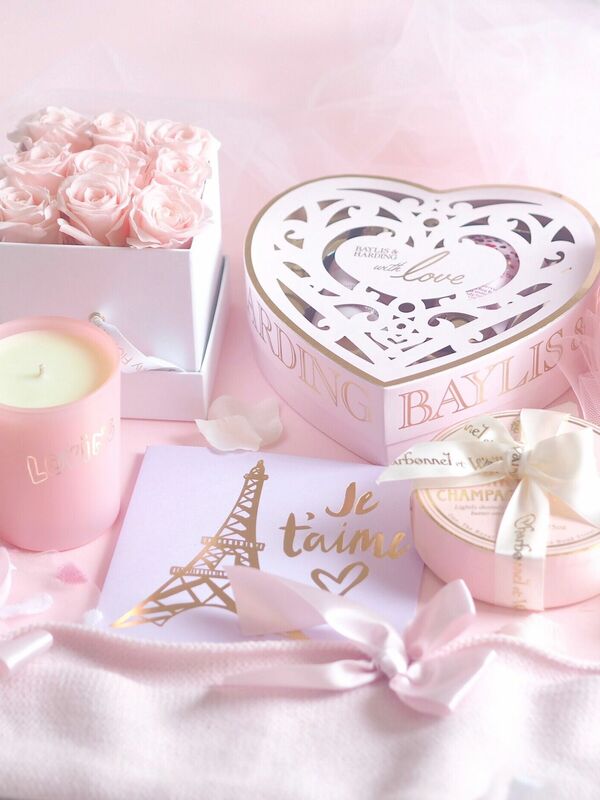 One of my personal favourites, and perfect for a Valentine’s treat, is this Rosé Prosecco gift set which contains a luxurious body wash and body lotion, presented in a beautiful heart shaped box. 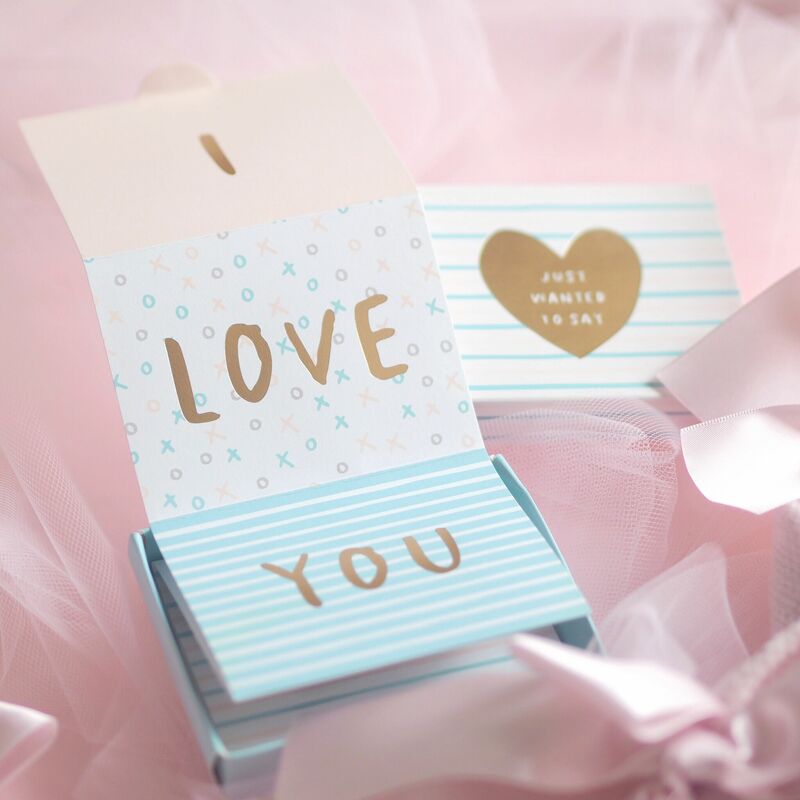 Lovely images as always! 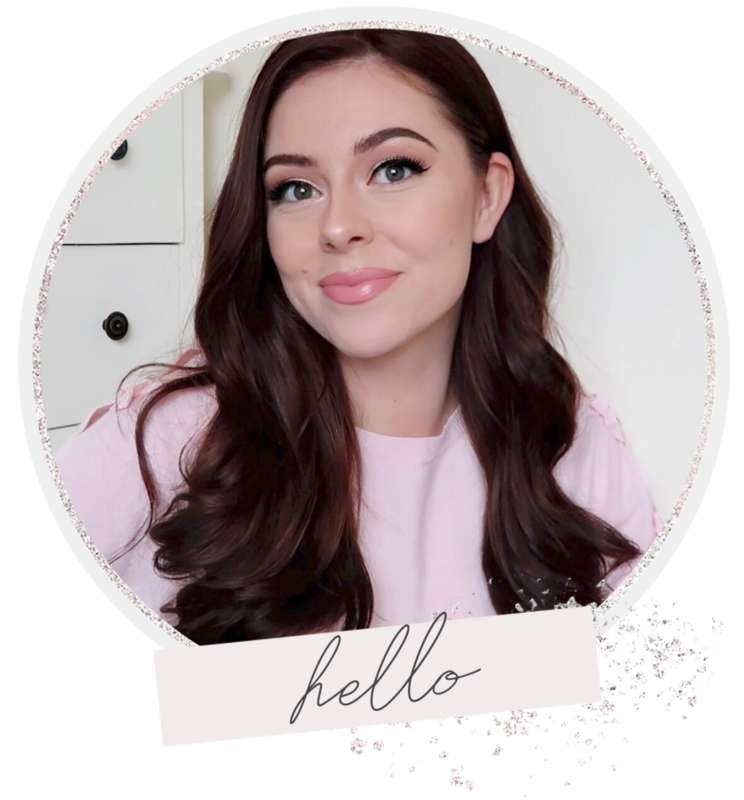 I’ve adored your Pinterest theme for the longest time, seriously has a beautiful aesthetic! 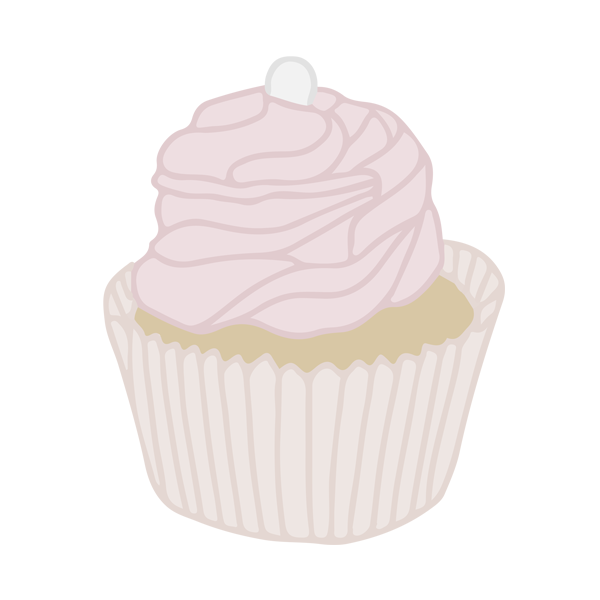 Who are your Pinterest inspirations? 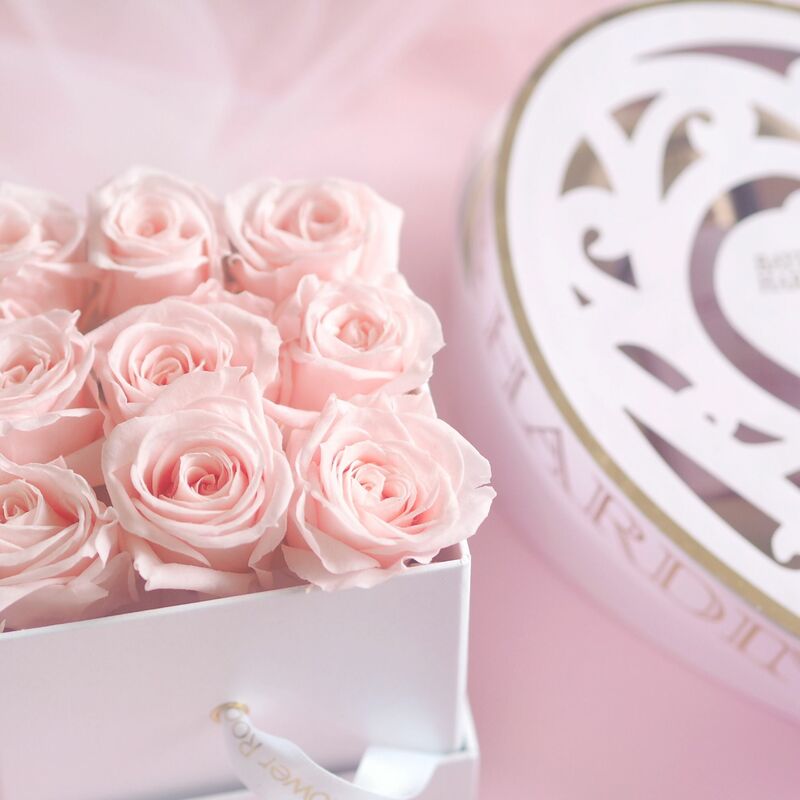 I just love all the roses, chocolates and perfumes. because my boyfriend usually buys me flowers I just bought a box of chocolates for me and I can’t wait to eat them.